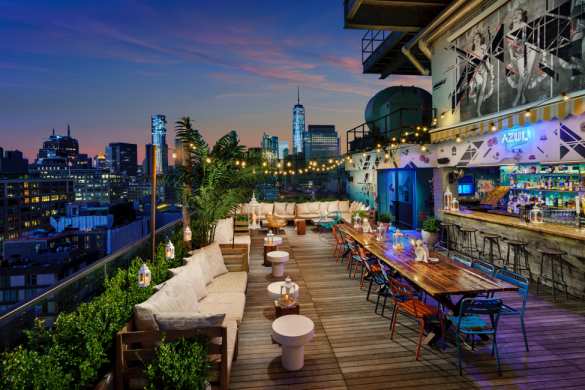 New York, NY - Fortuna Realty Group, a privately-held real estate investment and development company headquartered in New York City, has selected Tambourine to handle website and digital marketing efforts for select portfolio properties. “Tambourine is one of the most innovative companies in the digital marketing space. Through Tambourine’s unique program and responsive team of digital marketers, we have become more successful in driving in new business and increasing our bottom line,” said Morris Moinian, President at Fortuna Realty Group. The company’s executive team boasts decades of experience in hospitality, real estate, construction and investment banking. The team’s extensive experience, along with a natural ability to identify and capitalize on consumer trends, set Fortuna apart. Founded in 1984 by Morris Moinian, Fortuna Realty Group is a privately-held real estate investment and development company headquartered in New York City. The company currently owns and operates a portfolio of award-winning independent hotels and resorts, as well as commercial properties. The company continues to expand its geographic footprint, acquiring and developing new assets, often in tandem with selected strategic partners, throughout the U.S. and Caribbean.